International Investor is a product that encompasses language arts, visual arts, graphic art, mapping, and marketing (business). It is an activity that gives students the opportunity to create an investment attraction package for international companies. Students become “city planners” and are tasked to put forward a multifaceted scheme. The class will be responsible for four segments: promotional video, photo slideshow, investment outreach brochure, and tourist attraction map. 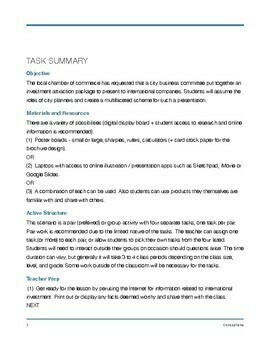 The task requires physical and digital artifacts from the students. International Investor is also a fun, blended learning / multidisciplinary activity that motivates students to use cognition as a team, produce something with a real-world application in mind, and then present their own ideas. 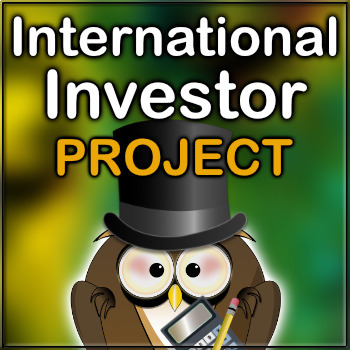 International Investor is a paired-work or group activity that requires 3 to 4 class periods.